No one messes with the USA. NO ONE. For awhile of course Lucifer, (aka Obama) did nothing, letting ISIL/ISIS build numbers, power and speed. Maybe there was method to his madness, as they say. Perhaps Obama may be appearing to be on the side of the Americans for a change, but then again, IN REALITY, maybe he is not. Suddenly Obama changes methods, and it appears to be a Martha Stewart “Good Thing”, because, after all, the November elections are upcoming. Americans are now united – let’s kill all of these horrible ISIS/ISIL people, get rid of them once and for all. Who are they anyhow, who stirred them up? Three guess, and the first two don’t count. Seems odd how they rose up out of nowhere just before November. Maybe we will see some sort of October surprise, as the Democrats are saying. Maybe the CIA or NSA and all those folks bent upon a new world order are behind all of it – you know, anything is possible these days…but do you think? What if there really is a God out there somewhere? What if He is not on vacation or smoking pot? What if He is wide awake and is listening in? What if the Bible really is true? What then? And what if you never really bothered to study it, or even read it and then you come face to face with the Creator? What then? What if you did read it but decided it could not mean what it clearly said because your theology (if you had/have any), did not agree? Who do you think wins that argument at the end of things? And what if what applies to you and I applies to an entire nation, what then? What if you only have one life to live and you blow it on booze, good times and work ’til you drop? What if the admonitions of the Bible and Jesus Christ were totally ignored and you find yourself in front of the Creator, and He is looking for SOMETHING, ANYTHING to redeem you, but cannot find it? What if an entire nation is found unredeemable? You know, like the one in the Bible called Babylon The Great? Well, what IF hell really is real, even if you yourself cannot conjure up any good reason in your mind for its existence? What if the Lord decided to turn America into hell? You know, like any nation that forgets God? What if there really are other dimensions, and hell is one of them? A sort of prison dimension, once there you never get out, of course you would be screaming, but who would listen to you? You see down there it appears no one really cares anyhow, so why would anyone come to your aid and comfort? So somewhere it is said that to answer a matter before you hear it out is really a foolish thing to do. The Bible is a MATTER THAT NEEDS TO BE SEARCHED OUT. Bible prophecy is also one of those things that needs to be searched out before it is mocked. And what if America really is in the Bible? And what if she does foolish things because they did not read or believe the prophecies against her? The vast majority of people MOCK IT, but have no idea what it really says or what it really means. They think it is a foolish “religious book” of some type, and so why bother? Better to go to the bar and get drunk and solve all the problems of the world. Anyhow, all of this leads to apostasy, and apostasy leads to bad judgment, and bad judgment leads to wrong choices, and wrong choices lead to bad actions, and can really be painful sometimes. So that brings us in a walkabout fashion back to the beginning – no one messes with America, no one. We are the HAMMER OF THE WHOLE EARTH, NUMBER UNO, MACHO MAN!! That somehow does not sound like a good ending, does it? But how did mighty Babylon-America get to that end? What happened? In short, sticking her nose in everyone’s business and not minding her own. Not understanding who she was, nor her ending. Too bad, so sad type of thing. 5 Therefore hear ye the counsel of the Lord, that he hath taken against Babylon; and his purposes, that he hath purposed against the land of the Chaldeans: Surely the least of the flock shall draw them out: surely he shall make their habitation desolate with them. So now who are we fighting right now? Does anyone really know? A handful of radicals? Surely the “least of them”? Some small group that draws Babylon into battle? Into WWIII? Into a series of events that draws Babylon and the world into a final fray? Leads it all into Isaiah 17, Ezekiel 38 and 39? Into Isaiah 18, Jeremiah 50, 51 and Revelation 18? Could it be? Could the apostasy away from the Bible lead to the worlds demise? It appears so. The military whiz kids all seem to be saying that this ISIL cannot be stopped without “boots on the ground”, air strikes help, but we must also use good old boy grunts to mop up operations. They are called “cannon fodder” by the elite. Cannon fodder. Well, the way we treat our troops in the field and then back here, I wonder why anyone would serve in the first place? War in the Middle East leads to war here and war there. Treaties here and treaties there. Are treaties that Russia has, say with a number of Middle Eastern countries, the “hook in the Jaws” that lead them down to the mountains of Israel? Could be, but then again, maybe not, who knows anything for sure? Reminds me of an X-Files episode where a UFO pilot says he is not sure if anything is real anymore. Are we in that state of affairs now? Seems like it could be. War by TV proxy. Watch the cruise missiles being launched. Watch the big flash. WOW? Blow them all away!! March through the land, scoffing at the kings and the princes! Fly as the eagle. Kill them all. Collateral damage, what’s that? Oh, just a few people here and there. Nothing to worry about. They were just in the wrong place at the wrong time. Sort of like all of those aborted babies in America. Wrong place, wrong time, oh well, who cares? Innocent blood is required anyhow. Sort of a satanic thing, you know. The prince and power of the spirit world here on Earth sort of thing. Everyone has treaties, and one might know that war is good for a failing economy. It is one of Iron Mountain’s favorite things – good for the money people, good for the masses, good for everyone except those killed or wounded. Good for the victors, bad for the losers. So have you noticed that the economies of the nations are not doing all that well right now? Have you noticed all of those store fronts with a “for lease” type of sign? War is good for that. It improves things, you know. Really does. Rally around the flag now, be a good citizen. I wonder if the Creator ever vomits? He might be getting to that point. I think I read it somewhere that He does. Maybe Revelation somewhere. I think He was speaking of people who are His people, you know, LUKEWARM FOLKS. But if that is His attitude against His own folks, what about those who are not? Any thinking person might also be getting to that point of…. Oh well, it’s time for an “Alfred E. Neumann” statement from the White House. “What, me worry? I am the HAMMER OF THE WHOLE EARTH. MESS WITH ME, BROTHER, AND YOU’LL GET YOURS“. But notice the end of it all – how is that hammer broken, fallen, destroyed. Somewhere in the Bible, you know, that Good Book no one wants to really read or study, it says that you always get back that which you hand out. I think 9-11-2001 was a reminder to Babylon. You know, just a small little event to remind the masses of the sleeping Americans that something was coming their way. I can’t imagine what it could be, can you? 8 Because thou hast spoiled many nations, all the remnant of the people shall spoil thee; because of men’s blood, and for the violence of the land, of the city, and of all that dwell therein. Just sayin’, that’s all – just thinkin’ that’s all. What say you? 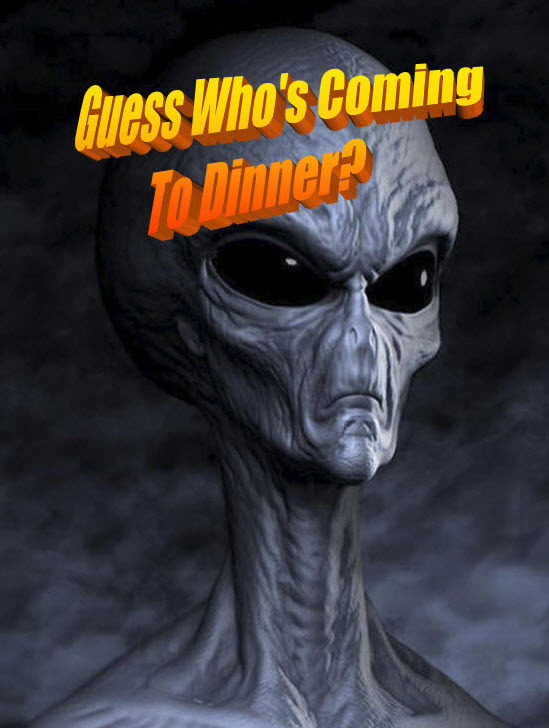 NEW GLOBAL INTEL UPDATE – GUESS WHO’S COMING TO DINNER? My website http://www.thelightgate.com has been blocked for all uploading. Still not able to determine who or even why it is being blocked. Will be posting on this blog for all important information until we get another site up and running. ANY HELP OR SUGGESTIONS to get around all of this would be appreciated. Latest Solar activity X1.6 flare now Earth directed. Will keep you posted. Credit Card Breaches – Are They Part Of The Move Towards The Mark Of The Beast? Home Depot reports a huge breach of security, like Target and others. No one seems to want to ask a simple question. Psalm Two includes the Kings and Rulers of the Earth, Deuteronomy 28 the international banking cartels, and Revelation 18’s Lords of Business, All of them are in cahoots with each other. Then could it be that they are the very ones doing the breaches in order to advance tighter and tighter security? In order to provide the impetus to move the general population into accepting the apex of the Mark? After all, everyone wants to be secure, right? The Mark of the Beast is the apex of Mammon. Some might say it is a return to the mark of Cain. Cain and his cohorts were the city builders, and cities are all based upon trade. Trade means merchandising, and if I recall, Satan was the great merchandiser, the king of traffic. Remember that on this side of things, Mammon runs everything. In the Kingdom of Heaven, Divine Love runs everything. The Mark system is the ultimate system of Mammon control. Total Information Awareness. Every move tracked, catalogue and used against the individual for total control over that person. There are no secrets here. Everyone is transparent except for the Government, which is totally hidden. Silent weapons for quiet wars, a war waged to obtain total control over the individual without the masses understanding what is happening to them. The Mark is an economic mark. To function in this world, one must engage in Mammon in one form or another. Money is the grease that makes things move smoothly, that opens doors, that allows one to function. Money buys food, clothing, housing, transportation, goodies and many non-essentials. NO money and you have troubles. The Mark is the final CREDIT CARD SYSTEM, THE APEX OF THE CREDIT/DEBIT CARD. The ultimate in SECURE INDENTIFICATION. The mark not only totally identifies you, but will include all of your personal information from birth onwards. From Kindergarten to graduate school. All neatly packaged. What your thoughts are. Did you behave? Are you socially acceptable? Do you have any antisocial viewpoints? Are you a good slave or a rebellious one? Driving records, Military records, banking and employment records, health records, purchase records. TOTAL INFORMATION AWARENESS. That means total control. You cannot move without BIG BROTHER knowing. “Everywhere”, the motto of the CFR begins to take on its true meaning. It also identifies who they really are. No wonder their logo is a rider on a WHITE HORSE!! So how do we get there? The clue is in the comments “When they say peace and security”. You cannot have peace unless you can identify and round up all those that might be a threat to the peace. You cannot have security unless you gather up all data on all people, catalog it and then profile the individual. Those that MIGHT cause a problem to the “security” of the New World Order, those who might cause the PEACE to be disturbed must be detained in one form or another. TOTAL INFORMATION AWARENESS leads to what is now forming before our eyes – PRE-CRIME investigations. If you MIGHT commit a crime, you need to be investigated, targeted and placed in detention, because the computer has profiled you as a “concern”, a possible “enemy of the state”. The reasoning sounds good – it is better to stop a crime than to allow it to happen and then catch the culprits later. Why not stop all of it before it happens? Like Tom Cruise in “Minority Report”. Welcome to the New World Order. So in order to move people to accept tighter and tighter security, we need to have “events” take place, like HACKING THE SYSTEM. You need to breach all “existing” security” to prove it is not acceptable. You must have tighter controls, ever tighter, bit by bit. It can only go to one place – remove all ID solutions now available and implant your total identity systems within the person. THE MARK OF THE BEAST. It would be good to have it in your right hand or forehead. Your lifeblood powers the system. After all, if this chip, this ink stamp, this whatever it is IN YOU, not ON YOU, but IN YOU, is now a PART OF YOU. It is the apex of all identification systems. It will not only prove who you are, but everything about you. What you do here is make all systems now in use to converge upon one another. Positive ID cards. Drivers license. Social Security number. Credit Card. Debit Card. Checking Account. Savings Account. IRA’s and 401K accounts. Home ownership. Vehicle registration and ownership. Military Records. School records. All of it all brought under one simple thing – THE MARK OF THE BEAST. So you breach the systems. You do it on purpose. You then step forward and say, “See we have problems here, we cannot have these breaches, your security is faulty. We must tighten down all the requirements. We must have another system, a foolproof system. One that cannot be hacked. All plastic must be replaced, it all too easy to steal a person’s identity. All ID systems must be replaced, we must be sure who everyone really is. All of this must be brought together under one roof, a tight security system that NO ONE could ever break into. By consolidation of everything, by placing all of this under government security systems, and by positive identification of EVERYONE we can provide all the security needed. We will weed out all of those who MIGHT have a “criminal mind”. By this method we will protect everyone. It will be the utopia of all utopias, with everyone in total compliance at all times. A utopia with no cash. Totally cashless. Total ID. All digital, all under control. Silent Weapons for Quiet Wars is all too real. They called for every man, woman and child to be marked from birth onwards. So is Mammon a form of religion? Is the worship of money, of bowing down to it, a form of religion? A form of WORSHIP OF THE GOD OF THIS WORLD? Is this Mammon system of this world the religion of antichrist? Of traffic? Of merchandising? Are these hack jobs being done by Mystery to bring about the MARK? They would not anything like that, would they? You decide, and all comments on this subject are welcome. Freedom to Obey (Or Not), But You’re Gonna Serve Somebody. Funny thing happened yesterday. We were blocked from uploading to our website http://www.thelightgate.com. I mean BLOCKED. Called the team for the host and they worked on it for a number of hours and said BLOCKED. That someone or something had placed a very specific BLOCK on our ability to upload information. It was website specific. They also said very rare, or retranslation – never seen that before. Good, I say, watch all you want, block all you want, You folks in charge of all of this have forgotten all about who gives you breath, food, water, power. It is not SATAN. It is not SANTA CLAUSE. It is not aliens from some star system out there. It is not FALLEN ANGELS, Satan’s cohorts. It is, in the end, your CREATOR, who is giving you all the rope you need to hang yourselves. I know, I know that most of you in Homeland Security, NSA, CIA or whatever agency it is believe there really is a Creator, you know, the head hauncho, the BIG, BIG BOSS. The Bible says so – “none seeth us”. No one sees or knows what your plans are all about. But He who created your eyes, does see. He who created your ears does hear. He who created your brains does think as well. He knows all about what you are all about, and wrote it down in the book you seem to hate with a passion – the Good Book, the Holy Bible. Have you not figured it out yet? Have you no clue yet? Have all of the warnings fallen on deaf ears? Apparently so. I have a question for you – simple really – according to the Good Book, if everyone who is to be saved, will be, as written in the Lamb’s Book before the foundation of the world, then how are you going to stop that? By what power? By what means? Via the United Nations? Your New World Order? By what means? Your concept of “owning the future” is a joke on yourselves. Do you not know that the FUTURE ALREADY KNOWS EVERY THOUGHT, EVERY MOVE, EVERY CONCEPT YOUR MINDS CAN CONJOUR UP? Do you not realize that your SATAN lives only because the CREATOR allows it? That your Satan, that you worship (LUCIFER), IS ALSO A DUPE? A PART OF THE AGENDA OF THE CREATOR? A necessary part? To see who would follow who? That NOTHING can be altered in time and space because it was all foreseen before the creation of the world. THE FUTURE KNOWS. Do you not realize YET, that the FUTURE is LONG PAST, all done, FORESEEN BEFORE ALPHA AND OMEGA BROUGHT TIME AND SPACE INTO BEING? You cannot alter the prophecies of the Bible, because the more you attempt to, the more you fulfill them. Ask the ancients of Israel gone by – they tried, fulfilling the very prophecies against them. Cannot you see or understand? THE FUTURE KNOWS; ALWAYS HAS!! You fight against that which you cannot in reality fight against. All your fighting, all of your “secret stuff”, all of you hidden meetings, all of it, already foreseen, taken into account, observed, known and circumvented even before ALPHA POINT – the BIG BANG. There is a power higher than you. Higher than Satan!! You have forgotten your creator, you have rejected Him. Now you pay the price. We all do, you know. Yes, you will have victory it seems. For but a short time however, before your house is brought down around your ears. For every battle you think you win, you lose. There is defeat in winning, and victory in losing, something the folks in governments have forgotten in their greed and insanity. Has not the past taught you anything? I know, I know, “we have weapons and surveillance tools no one ever had before. It is ours now, and who can fight us? We shall win, have already won, and the Protocols shall be carried out. Who are you to tell us we cannot do it?” I am not saying you cannot do it, I am saying that WHEN YOU DO, YOU LOSE IT ALL, EVERYTHING, FOREVER AND FOR ALL TIME. A strange twist really, another one of those enigmas. I have heard it before. Flesh and blood is flesh and blood. It is temporary. Only the SPIRIT survives. “Kill the Christians, kill all those who resist us, we will kill all of you, and then we shall have our utopia. Free of the dangerous mythologies of YESTERYEAR, like Christianity and all of that stupid idiotic stuff that gets in our way. We shall throw off the CHAINS that BIND US DOWN!” Yet the Creator says He shall set His Son on the throne of Earth, and shall hold all of you in derision. Really? Seems to me that Psalm Two is mocking you. The Creator thinks it is all vanity. Every move you make makes Him even more angry. “KISS THE SON, LEST YOU PERISH FROM THE WAY…” Rings in my ears right now. It is time, however, for you to rise up. It is time for total surveillance and time for Total Information Awareness. A time to monitor and control everything. To watch every move of everyone, to be “EVERYWHERE”. A time to MARK EVERYONE WITH YOUR MARK. A time to kill those who refuse. To stifle freedom, to allow no dissent, a time for big brother, big sister. A time to BLOCK any information deemed not “acceptable”. A time for total control. A time for the United Nations Agenda 21. A time for “Man and Biosphere” to come to fruition. A time for evil to rise up. That which you fear the most has already happened, you just don’t realize it yet, but you soon will. The Creator knows, because He is THE FUTURE. Yes, I have freedom to OBEY. But not you. You are not GOD. You are nothing in the eyes of God. You are all less than nothing. Your nations are less than nothing, this entire planet is a tiny blue dot that is also less than nothing, but important spiritually because it is the final turf battle between the Creator and Satan. Guess who wins? Satan and his cohorts and all of you EXIST only because the Creator upholds your existence. You are merely part of a PLAN an AGENDA. However, you had a choice as to whom to follow. You are all of THIS WORLD, and so is your One World Religion, Government, and Economic System. Now, one would say, “that is what you believe, we do not believe it”. IT HAS NOTHING TO DO WITH WHAT i BELIEVE. There is a huge difference between belief and knowing something, not by faith, not by belief, but rather by being shown. We live in a MULTIVERSE. A place of a number of dimensions. Jesus Christ came from another dimension, and went back there as well after His mission was completed. He told us all about it. IT WAS ALL TRUE, EVERY WORD. When you do as told, as commanded, you will OPEN A DIMENSION GATE. You will CROSS OVER. Then and only then will you understand what all of this is about. It is not what it seems. That gate, that star gate, if you will, is within you, at the deepest part, in the inner heart of hearts. It is a SPIRIT GATE. That is why Jesus said that the Kingdom of God is within you. It is, but not as the occult or New Age believe. It is far more mysterious, far deeper. The deep things of the spirit. You have to take a journey. Travel a pathway, a long and lonely pathway. He called it the NARROW WAY. It is a way of discovery. To discover that you and the human race is really DEAD. TOTALLY DEAD. They don’t think so, but they are. When a person dies, they cross over, and they then discover they were dead all along. “Let the dead bury the dead”, said the Creator. Then they also discover who owned them in reality. DEAD IS DEAD. The Creator is the only one who can make you alive. He says He will, IF you do as He commanded. Otherwise you remain dead in your trespasses and sins. DEAD IS DEAD. Once dead, always dead. Jesus said you must cross over. If you do not, all is vanity, everything in this world is vanity, means nothing, has no value, never will. So let me set the record straight. I am not religious. Never was. Never will be. I do not even consider myself SPIRITUAL either. Never was. I cannot tell anyone why the Creator picked me out for any of this. I can only tell you I KNOW what I KNOW. It transcends physical reality. I can only tell you that ALL RELIGIONS are DIVERSIONS. The Bible is a book that DESTROYS ALL RELIGIONS. It is not a book about religions. It is a book that warns the world that RELIGIONS DON’T SAVE ANYONE. They are power structures, control points if you will. It actually exposes RELIGIONS FOR WHAT THEY REALLY ARE. What Jesus Christ brought with Him is a WAY BACK TO THE CREATOR, a WAY OF RECONCILIATION for a truly fallen human race. The Creator has reconciled Himself to the world, and Jesus Christ told us how WE must now reconcile ourselves BACK to God. It is not a religious ritual. It is a SEARCH FOR THE TRUTH. 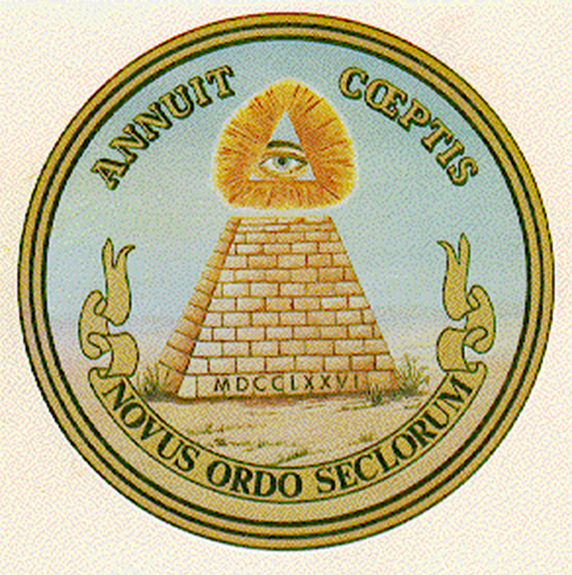 Mystery Masonry says there is NO KNOWABLE TRUTH in their book “A Bridge To Light”. It is a total lie. It is a Satanic deception. Not only can ANYONE find the truth behind life itself, they were commanded to do so by Christ Himself or they would perish as enemies of the Creator. Either do it, or perish. Simple really. Maybe it’s too simple. So one can do what Christ commanded and “enter ye in” or not, their choice. The world’s choice. Killing Christians does no good. Killing the Jews or Moslems or those that disagree does not do a bit of good. It solves nothing. It is like kicking a sleeping dog, in a way. He will rise up to bite you big time. Only his bite kills. So the world, now almost totally insane, and getting more so with each passing day, is headed for the ruin that was known before the creation began. I have warned for almost 30 years now. I am not anti-government. I am not their enemy. I am not anyone’s enemy. All I do is warn. My warnings come because I have crossed over. I have seen the Kingdom. I have seen the other side as well. I know it is all true. Every bit of it is true. There is no lie in the truth. Anyone can find it. They have to want to with all of their heart, mind, soul and strength. They can find their creator, they can find their ransom, their redeemer.